Lever Extender - SHIPS FREE! 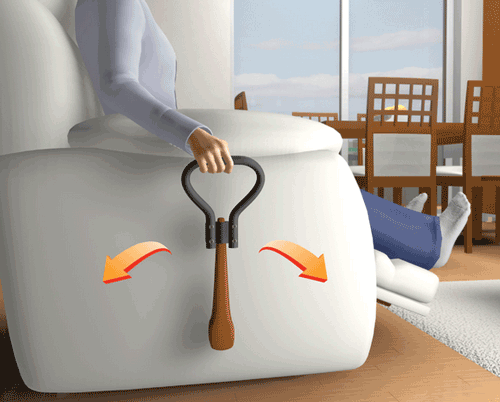 Recliner Lever Extender is a Handle Extension for Recliner Chairs that allow the user to raise and lower the reclining leg rest. 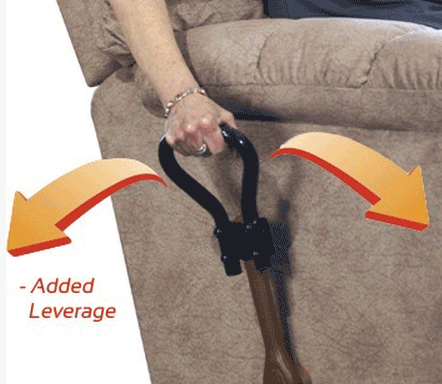 The Lever Extender puts the Leg Rest Control Lever within easy reach of someone sitting in the recliner. The extra length that the Lever Extension provides makes it easier to raise and lower the leg rest. 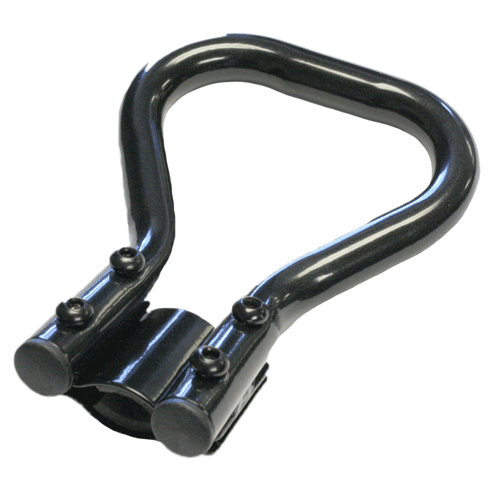 Manufactured by Stander, this Recliner Extension Lever is made with heavy duty steel to offer durability. No tools are required to install the Stander Lever Extender. 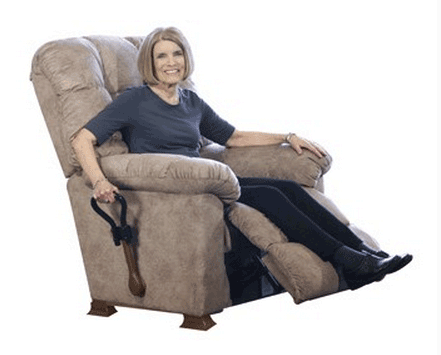 Allows for the easy adjustment and control for most recliners. Places the handle within easy reach. 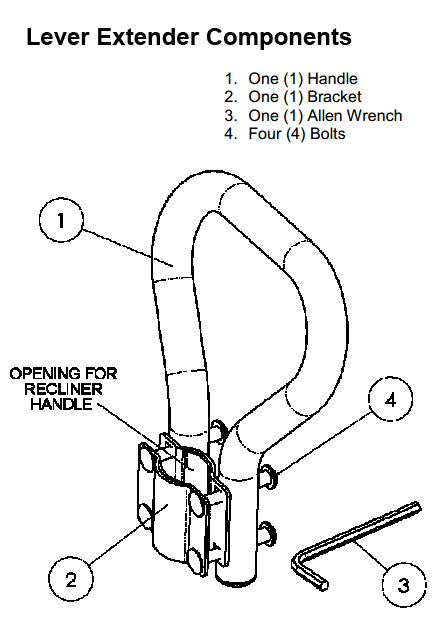 Four bolt attachment method ensures a secure fit. 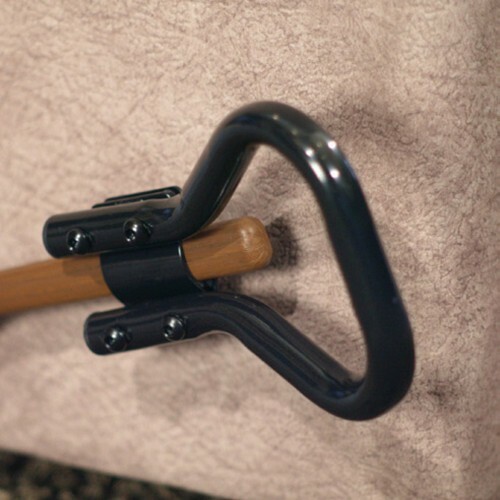 Padded design protects chair handle. Made of heavy duty steel for added durability. 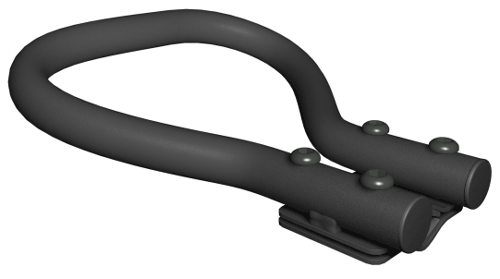 Stander Lever Extension Handle Product Number: 3000. Stander Lever Extender Warranty: Lifetime. The extender was easy to install and worked well. 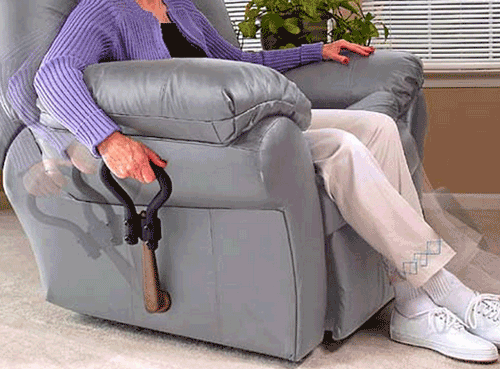 It raises the height of the lever for the recliner and makes it more accessible to a smaller person. It made it harder for wife to use recliner.Tried installed as shown in instructions ans picture and hurt her arm,was harder to use.Took off and installed much further down lever and was still unsatisfgactory to use. Would really like to send back and get a refund if possible. The lever extender was easy to put on and my wife loves it. The lever extender helped ease the strain for my wife. Thank you.